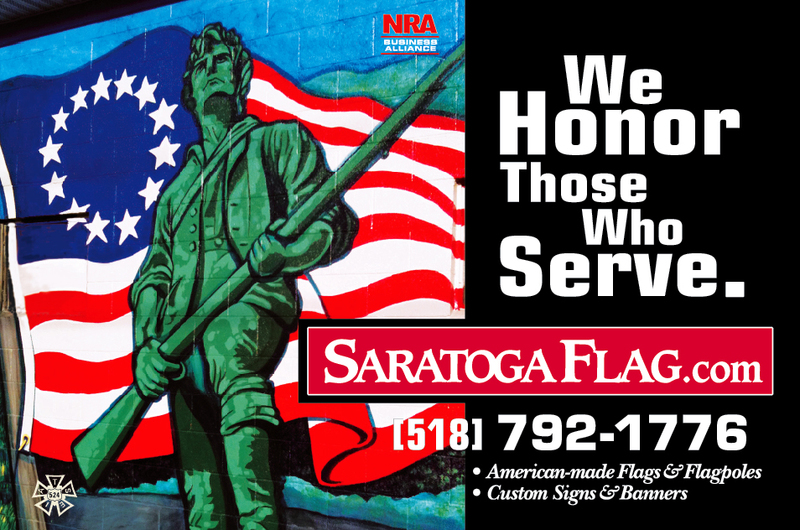 SaratogaFlag.com, A Broadway Banner and Graphics Co, LLC is a quality custom flag and banner manufacturer located in Saratoga County, NY. We carry the region’s largest inventory of American-made U.S. flags, flagpoles and accessories; in stock is a comprehensive line of state, world, historical and military flags. Additional services include custom vehicle lettering, magnetic vehicle signs, aluminum utility signage and flagpole sales & installations.